Today Sayeeda kicked off 2012’s tour programme with a day of visits in Yorkshire. Her first stop was Outwood Grange Academy in Wakefield, where a group of students put their questions to Sayeeda during an event that is part of the Speakers for Schools programme. After a tour of the school Sayeeda travelled to Bradford, where she was warmly received at the town hall by the Conservative group on the Council, led by Councillor Glen Miller. 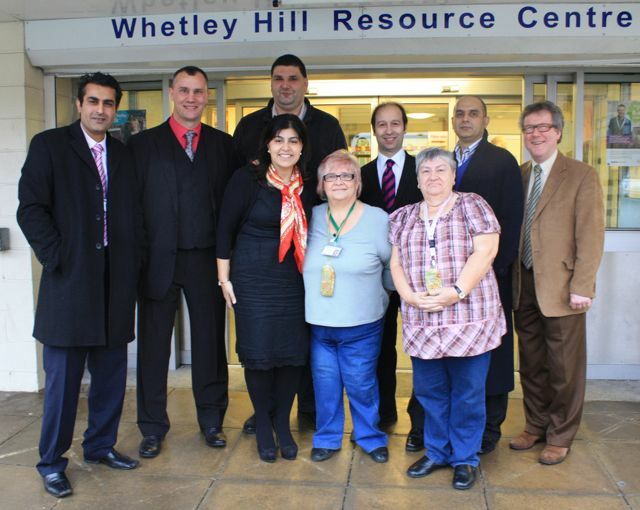 Later in the afternoon Sayeeda went on to meet with the community at Whetley Hill, an adult social care facility in the area which has been running for thirty-five years. She was impressed by the facilities and dedication of the staff, and was delighted to hear later that day that Labour-led Bradford Council had reconsidered their decision to cut the services offered by the centre. After a drop in at the Bradford Telegraph and Argus, Sayeeda left for Ripponden, where she was guest of honour at Calder Valley Conservative reception for Craig Whittaker MP.